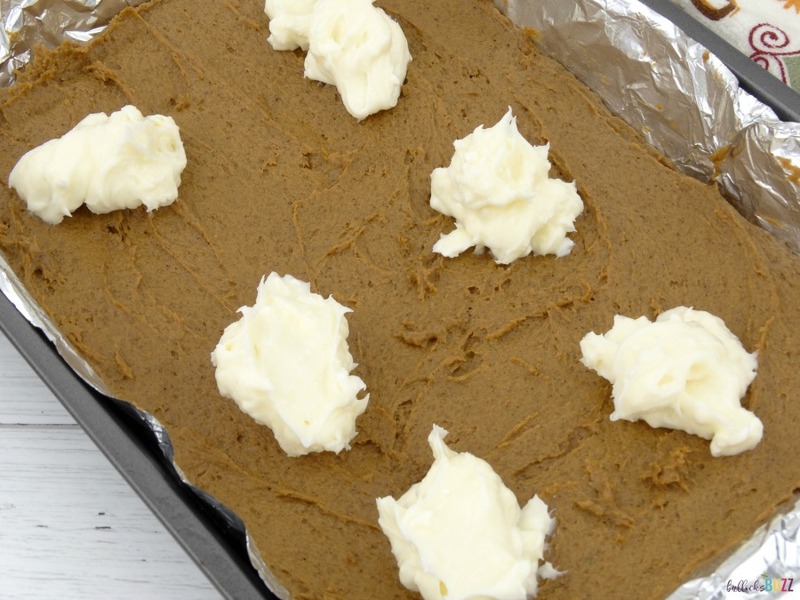 These homemade Pumpkin Spice Bars with Cream Cheese Frosting are easy to make, absolutely delicious and will satisfy all of your pumpkin cravings. 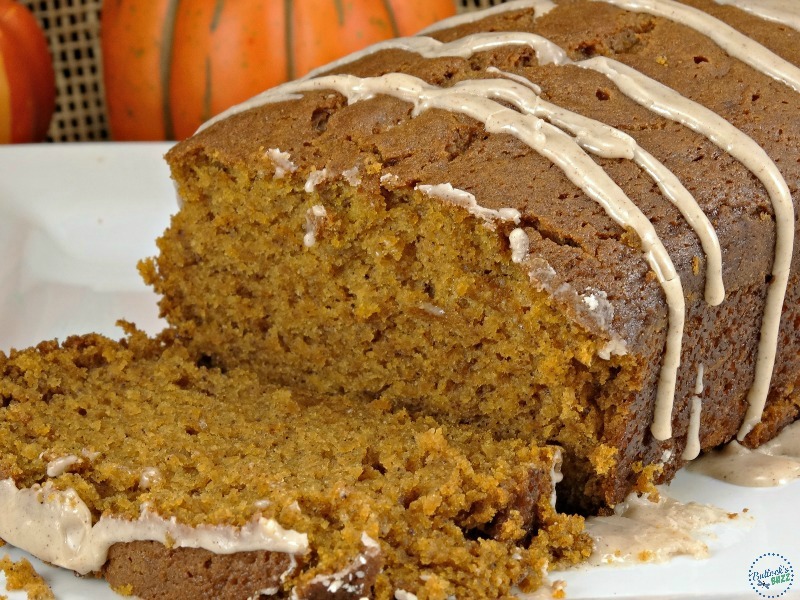 It’s finally looking and feeling like Fall, and you know what that means…it’s time for another scrumptious pumpkin recipe! 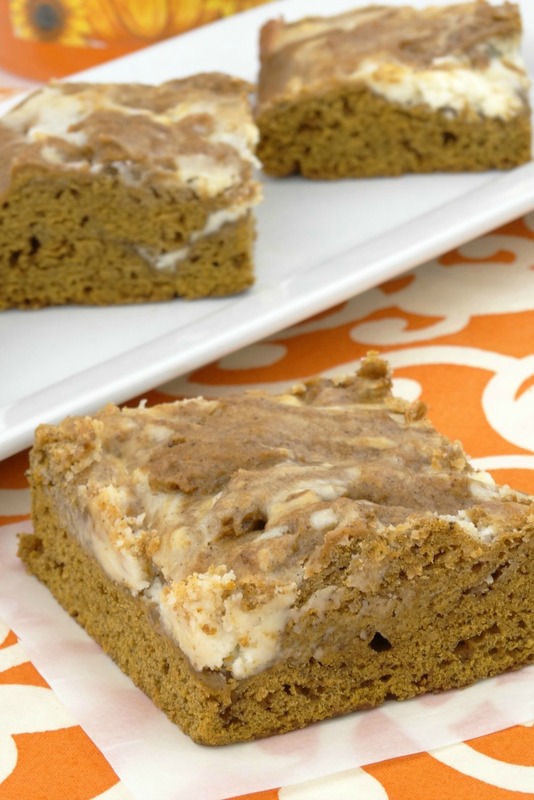 A perfect dessert for fall potlucks and Thanksgiving, these homemade Pumpkin Spice Bars are incredibly moist and delicious. Plus, they are made even better with a truly decadent, smooth and creamy Cream Cheese Frosting swirled throughout! 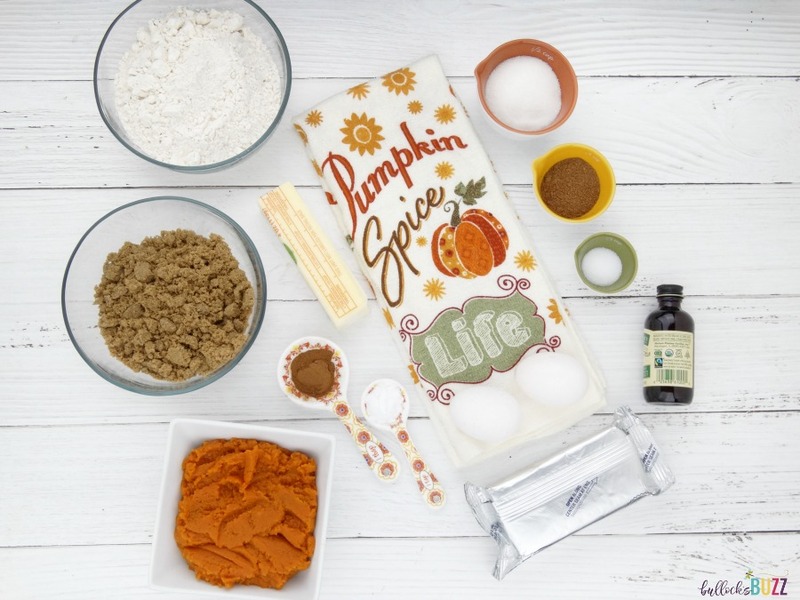 If you’re a pumpkin spice fanatic, then you are definitely going to want to bookmark this recipe! These Easy Pumpkin Spice Bars come together quickly with under 20 minutes of hands-on time, and another 30 in the oven. Let cool, and you have a fall treat everyone will love! Begin by preheating the oven to 350°F, and place an oven rack in the lower third position. Line the bottom and sides of a 9 x 13-inch baking pan with aluminum foil or parchment paper, making sure to leave an overhang on all sides. Place pan to the side. In a large mixing bowl, using either a hand-held or stand mixer fitted with the paddle attachment, beat the butter on medium speed until it becomes smooth and creamy. Slowly add in the brown sugar and continue beating on medium-high speed until fluffy. Next, add in the egg and vanilla and mix on high speed, scraping down the sides of the bowl as needed. Add in the pumpkin and mix on medium speed until completely combined.  If the mixture looks grainy; that’s ok! In a separate, medium-sized bowl, whisk the flour, baking soda, cinnamon, allspice, cloves, nutmeg, ginger and salt together until completely combined. Slowly add this dry mixture to the wet ingredients, mixing on low speed until combined. Be careful that you do not overmix. The batter will be quite thick. Spread about 2/3 of the batter evenly into the foil-lined or otherwise prepared pan. This layer will be pretty thin, but don’t worry. The rest of the batter will be added in a minute. Next, make the cream cheese frosting. In a separate bowl, combine the 8 oz softened cream cheese, 1/2 cup granulated sugar and 2 tablespoons milk. Blend thoroughly until frosting is smooth and creamy. 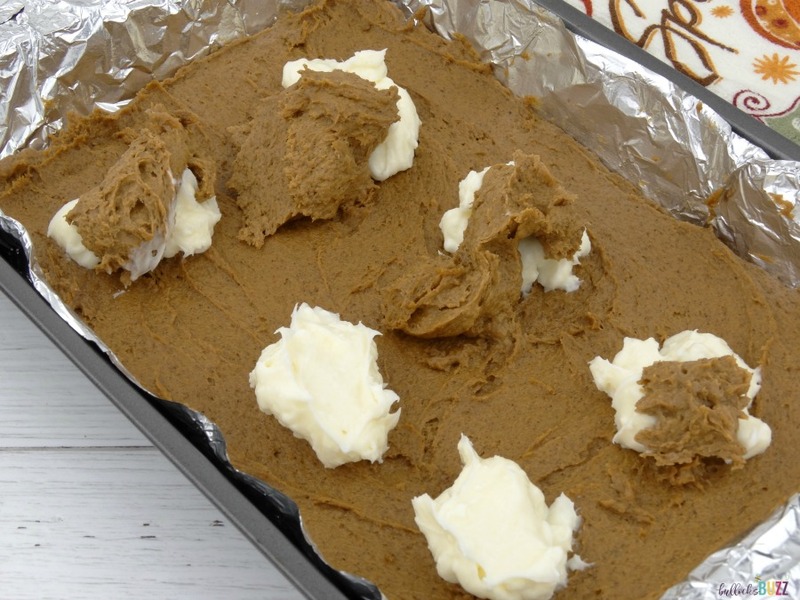 Drop random spoonfuls of the homemade cream cheese frosting on top of the pumpkin batter in the prepared pan. Then, drop spoonfuls of the remaining pumpkin batter on top of the cream cheese. Using either a rubber spatula or the back of a spoon, gently swirl the two together. Both mixtures are pretty thick, so go slowly. Once swirled, carefully jiggle the pan back and forth to help the layers to settle. It’s going to look pretty messy right now, but don’t worry. It will look much better once baked. Promise! Bake the bars for 30 – 35 minutes or until a toothpick inserted in the center comes out mostly clean. Then, let the bars cool to room temperature on a wire rack. Once they have completely cooled, place the pan in the fridge for about two hours before cutting into squares to serve. 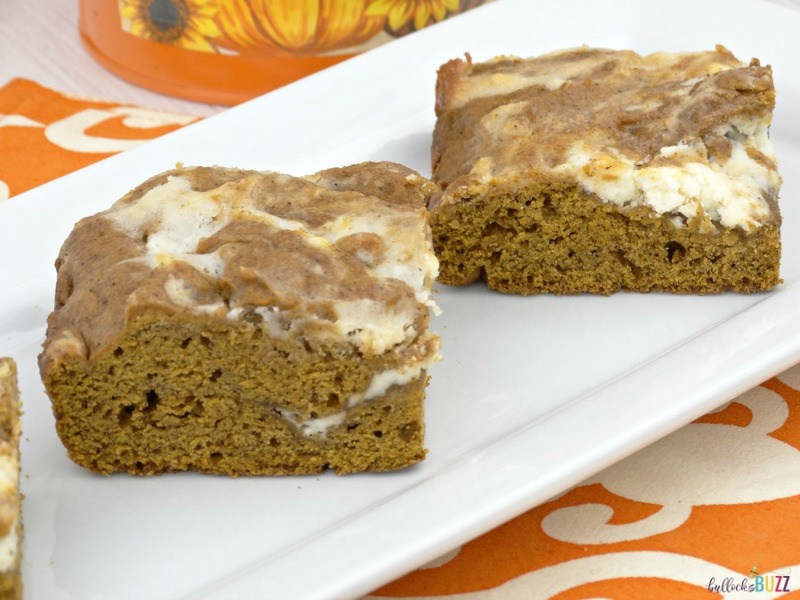 • These pumpkin bars can be made up to 2 days in advance and kept in an airtight container in the fridge until ready to serve. • Leftover bars can be stored in an airtight container in the fridge for up to 1 week. 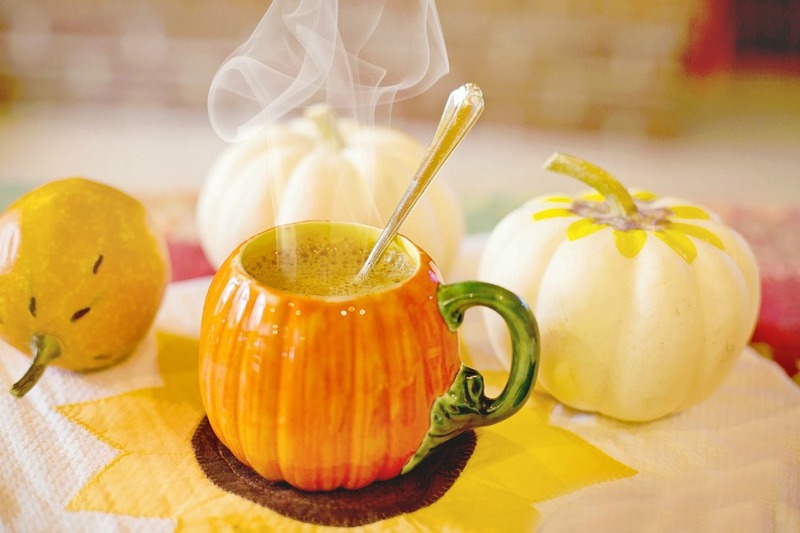 Pumpkin spice may be a seasonal favorite. 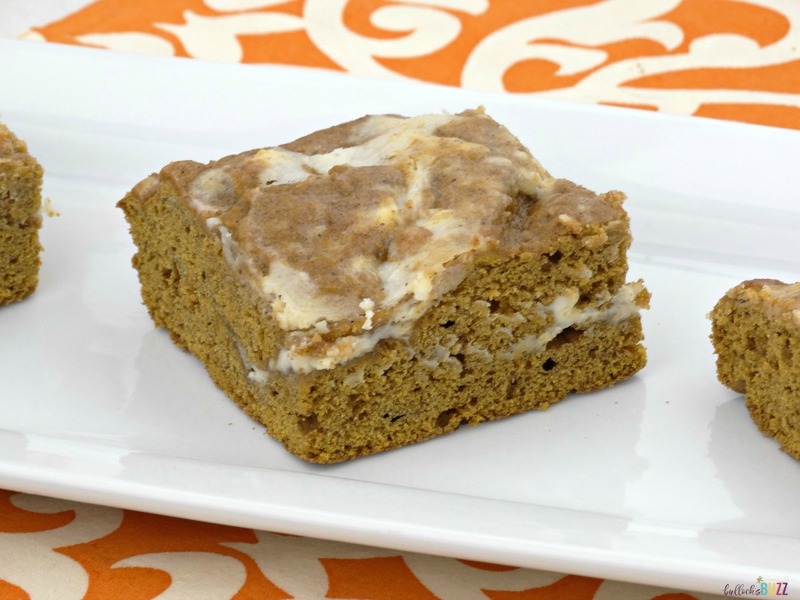 But my recipe for Pumpkin Spice Bars with Cream Cheese Frosting will let you enjoy the crisp fall flavor all year long! If you make this recipe, I’d love to know! Snap a picture and share the photo on social media with the hashtag #BullocksBuzz. Can’t wait to see it! 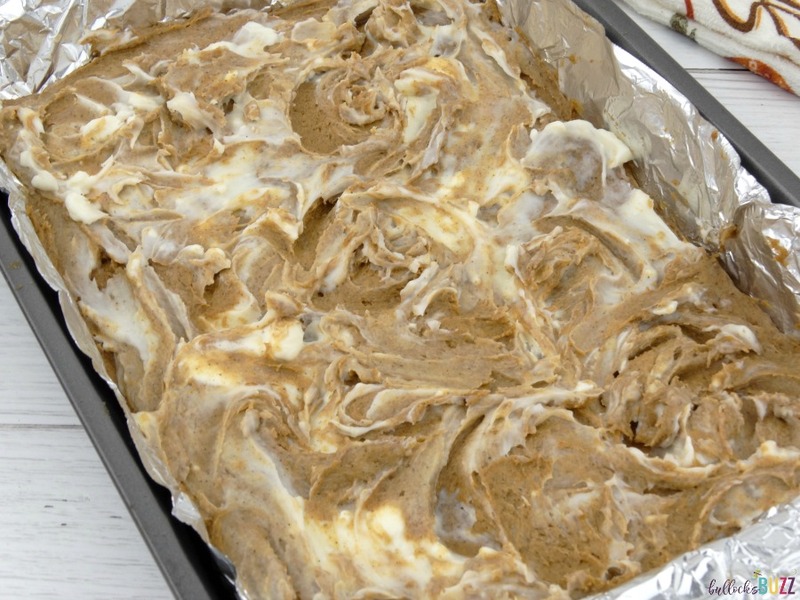 These homemade Pumpkin Spice Bars with Cream Cheese Frosting are easy to make, absolutely delicious and will satisfy all of your pumpkin cravings! Preheat the oven to 350°F, and place an oven rack in the lower third position. 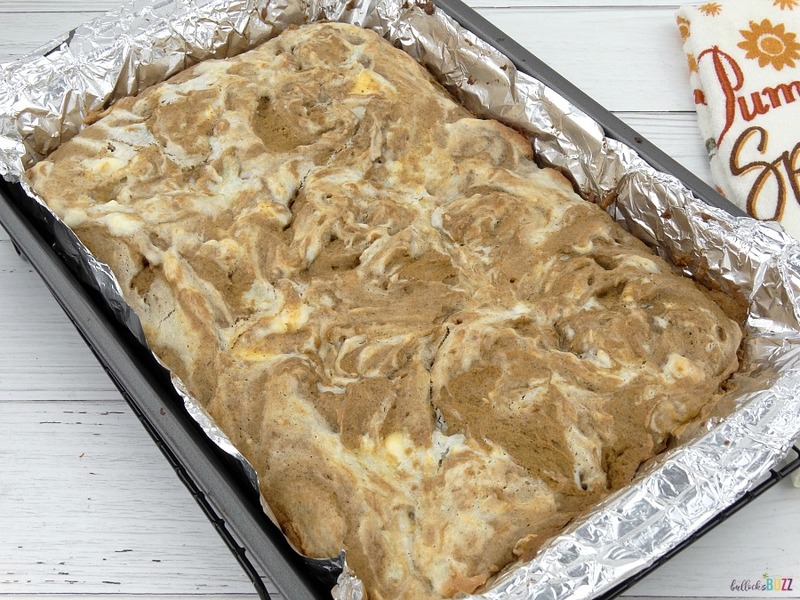 Line the bottom and sides of a rectangular (9 x 13-inch) baking pan with aluminum foil or parchment paper, making sure to leave an overhang on all sides. Place pan to the side. 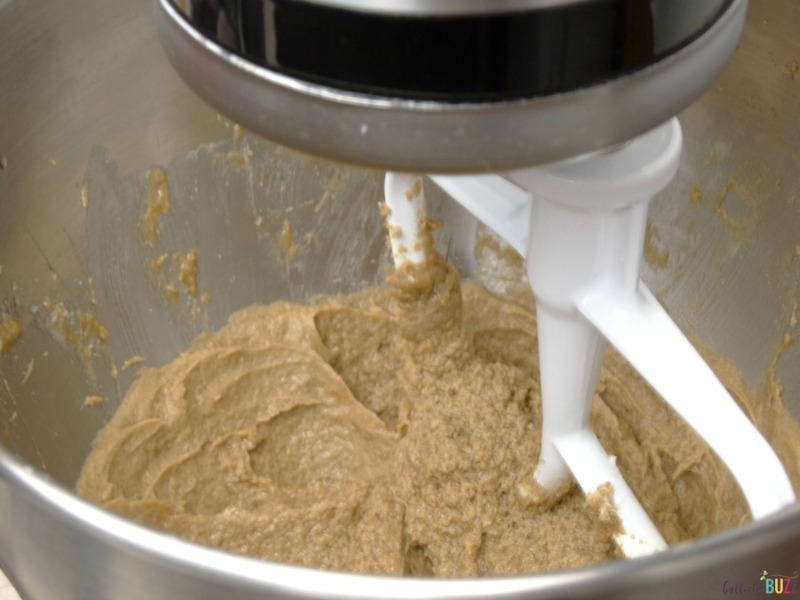 In a large mixing bowl, using either a hand-held or stand mixer fitted with the paddle attachment, beat the butter on medium speed until it becomes smooth and creamy (about 1 minute). Add in the egg and vanilla and mix on high speed, scraping down the sides of the bowl as needed. Add the pumpkin and mix on medium speed until completely combined. Slowly add this dry mixture into the wet ingredients, mixing on low speed until combined. Do not overmix. The batter will be quite thick. Spread about 2/3 of the batter evenly into the foil-lined or otherwise prepared pan. This layer will be pretty thin. Make the cream cheese frosting. In a separate bowl, combine the 8 oz softened cream cheese, 1/2 cup granulated sugar and 2 tablespoons milk. Blend until all ingredients are completely combined and frosting is smooth and creamy. Bake the bars for 30 - 35 minutes or until a toothpick inserted in the center comes out mostly clean. Let the bars cool to room temperature on a wire rack. Once completely cooled, place the pan in the fridge for about two hours before cutting into squares to serve. 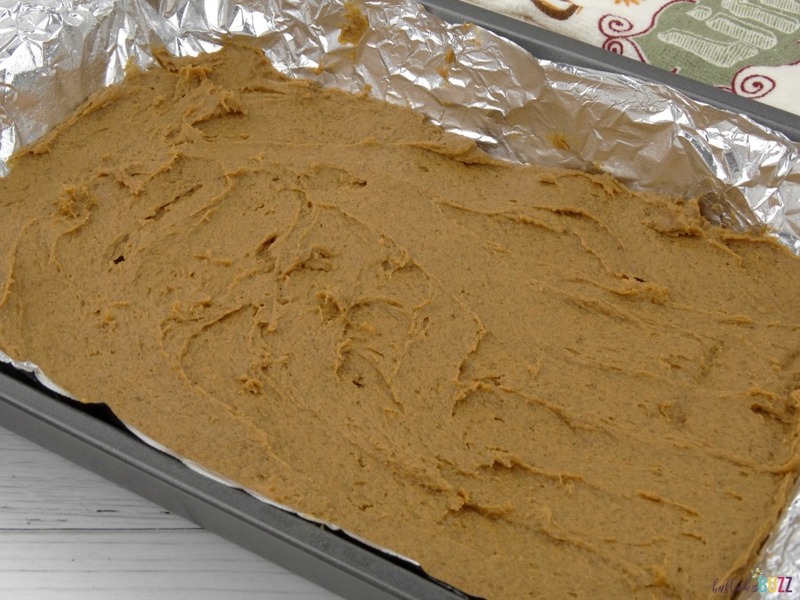 Pumpkin spice bars can be made up to 2 days in advance and kept in an airtight container in the fridge until ready to serve. Leftover bars can be stored in an airtight container in the fridge for up to 1 week. 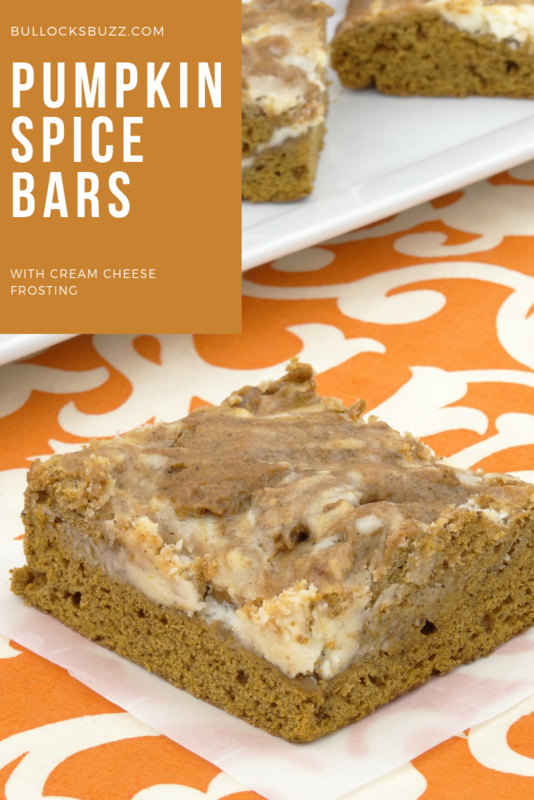 If you liked this simple Pumpkin Spice Bars with Cream Cheese Frosting recipe, then you will love these other Fall flavored favorites!